A charming, chunky book filled with more than 150 works we love from The Metropolitan Museum of Art. The book is divided into different themes for readers to explore, including people, animals, transportation, and places. Accompanying text provides readers with insight into each piece without distracting from the beauty of the work. 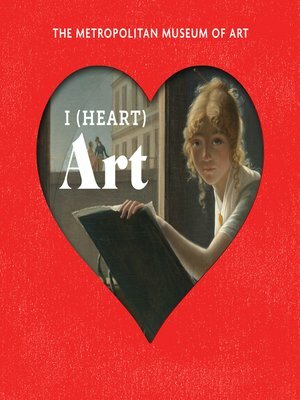 From paintings to collages to sculptures to photographs, I (Heart) Art helps readers discover the best that the museum has to offer. Among the artists included are Jennifer Bartlett, Romare Bearden, Rosa Bonheur, Canaletto, Mary Cassatt, Marc Chagall, Jean-Honoré Fragonard, Hokusai, Winslow Homer, Edmonia Lewis, Claude Monet, Georgia O'Keeffe, Alfred Stieglitz, and Andy Warhol. The Metropolitan Museum of Art is the largest museum in the Western Hemisphere and the world's most encyclopedic art museum.